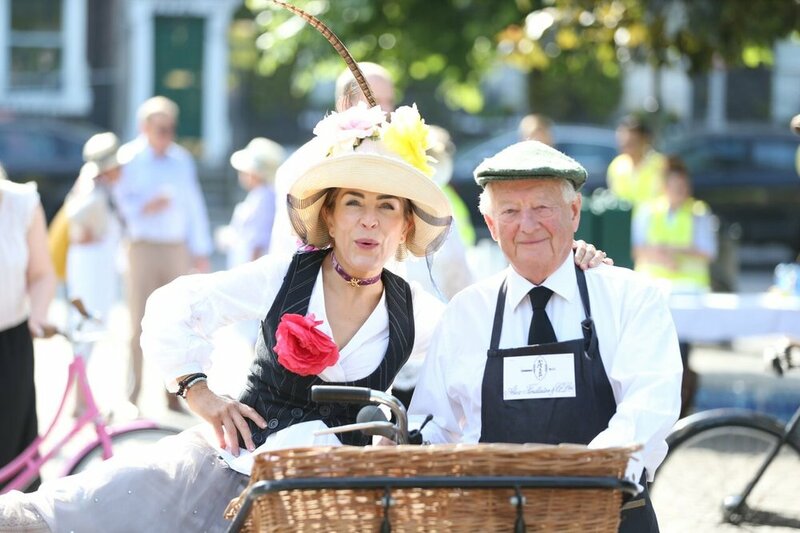 Now in its 26th year, the annual Bloomsday Messenger Bike Rally & Lunch is one of the highlights of the Irish Youth Foundation's fundraising calendar. Starting at Stephen’s Green, participants cycle around the city on vintage bikes, many in Bloomsday attire. The bicycles will ring in unison as our Edwardian ladies and gentlemen tour Dublin’s fair city, making pit-stops along the way for well-deserved refreshments at friendly public houses. If you’re not a cyclist, you can be one of the 350 lunch guests to welcome the rally to its final destination, the Round Room at the Mansion House. Table of 10 for Lunch in the Round Room plus one messenger bike in the rally: €1,300. To book, email Sarah Edmonds on sarah@iyf.ie with your request.